Looking for a good deal on a VR system? 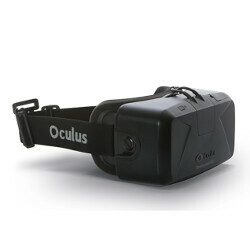 Best Buy currently has one on the Oculus Rift VR Package. Purchase the device for $500 along with a pair of Oculus Touch controllers for $100. Lay out the $600, and Best Buy will soon send you a $150 Best Buy gift card. While not quite as nifty as receiving a $150 discount, someone interested in the Oculus Rift would probably be able to find something they want for $150 at Best Buy. Compare this deal with the one being offered by HTC for its VIVE VR system. The latter is available for $749.99, which is a $50 discount. Additionally, purchasers receive a $50 Steam card. It really comes down to picking the device you like the best, and your current finances. Select the Oculus Rift headset. Select the Oculus Touch controllers. Click the Add to Cart button at the bottom of the page. That's not terribly difficult, is it? And you can get the ball rolling by clicking on the sourcelink. Moderate deal. Nothing too enticing. I already got an HTC Vive last, so this deal is kinda late to the party to me. I also have a Gear VR, of course!